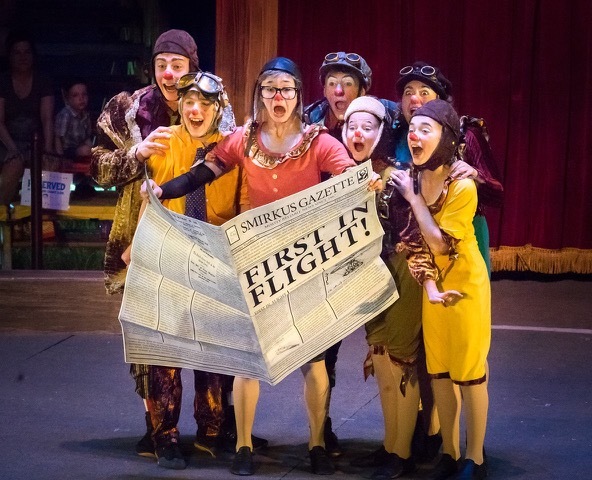 Circus Smirkus will be at Gore Place in Waltham July 22 – 25 (as well as in Sandwich, Northampton, and Newbury at other times during the summer). For times and tickets visit smirkus.org or call 1-877-SMIRKUS (1-877-764-7587). When he’s not juggling or flipping people in the air, you can find Chase exploring the world with his trusty camera. Chase holds out hope that he can train his two dogs as circus dogs! He could not be more excited to share his smiles and skills this summer. Eva is thrilled to be making her touring debut with Smirkus this summer! Eva is learning Rhythmic Gymnastics which combines her love of dance and hooping with gymnastics and other props. When she’s not hooping, you’ll find her playing with her pug or solving math problems. She also loves unicorns. The only thing Ripley loves more than circus is Smirkus. When she isn’t circusing or smirkusing she loves reading, eating, doodling, and wandering. This fall, Ripley will continue her circus education at École de cirque de Quebec.